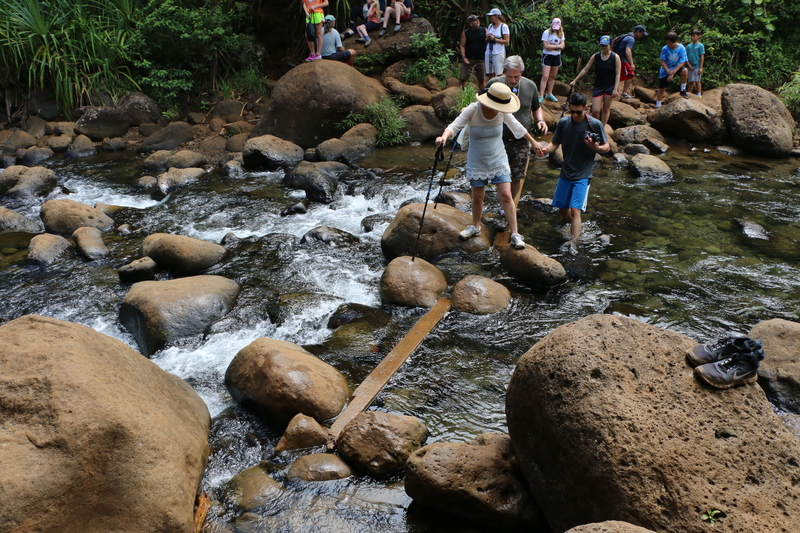 DLNR works to provide safe access to state parks. • Developed the Governor’s Sustainable Hawai’i Initiative – I believe it is our responsibility, our kuleana, to preserve our land for the next generation. That’s why we’ve developed this initiative, which sets goals to protect our watersheds and ocean waters, double our local food production, control invasive species and develop a clean energy future. 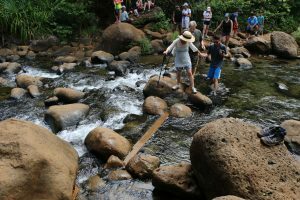 The Ige administration has protected over 40,000 acres of watershed forests on Kaua‘i, O‘ahu, Moloka‘i and Hawai‘i islands and helped preserve lands at Turtle Bay. •Stewarding Natural Resources Mauka to Makai – The Department of Land and Natural Resources (DLNR) and the Department of Agriculture worked closely with public and private partners to contain the spread of Rapid ʻŌhiʻa Death on Hawai‘i Island, protect forested watersheds and manage nearshore waters. DLNR also produced the first guide for a streamlined permitting process to restore and maintain Hawaiian fishponds. • Emphasizing public access to state parks – DLNR provided significant improvements and clean-up for Makapu‘u Lighthouse and Kalalau Valley to ensure all people can enjoy these areas safely. At Kalalau, tons of rubbish is airlifted out of the area on a monthly basis and long-term illegal campsites are being dismantled. • Papahānaumokuākea Marine National Monument expanded – Last fall, President Barack Obama created the world’s largest marine sanctuary in the Northwestern Hawaiian Islands — preserving fish, wildlife and cultural resources for generations to come. The Ige administration also initiated the request to make the Office of Hawaiian Affairs a co-trustee — a designation OHA had sought for years.